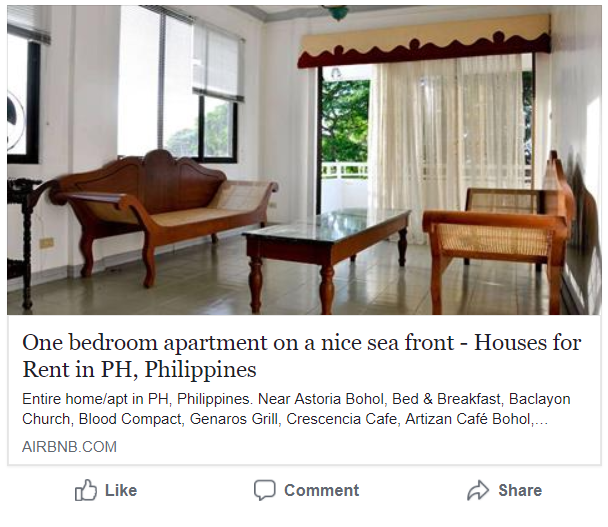 One bedroom apartment on a nice sea front – Baclayon BoholYour home away from home | Offers affordable accommodations with free Wi-Fi in the heart of Tagbilaran City. It features a free airport shuttle service, a restaurant on-site, and massage services. Copyright © 2006 - 2012 Bohol Choco Tour Web Development Team. All rights reserved.